Google instead announced some great new enhancements that we can take advantage of in our clients Google Ads campaigns. Hooray! Expanded text ads are coming to Google Ads, which allows us to be able to write bigger and longer text ads than ever before. We’ll soon be able to offer two headlines of up to 30 characters, rather than the current single headline which has a character limit of 25 characters. But that’s not all! We’ll also have up to 80 characters for the body text instead of the current 70 characters. The advantage of having larger text ad space means, for starters, we can say a lot more in your Google Ads which is fairly obvious, plus our clients Google Ads can take up more room in the search which will bump your online competitors out of the way. We imagine this should result in increases of CTR (click through rate), which will help with conversions and quality score and inevitably result in more revenue for our clients. At Searchsmart we work really closely with Google, and we are at the forefront of latest data and trends regarding mobile searches. Quite often if we see a major drop in desktop searches and a large increase in mobile searches. Currently we can adjust the bidding to just go after the mobile clicks if it’s of course relevant for your industry to do so. So we can do that right now for you ok? Ok! However, we are unable to separate desktop and tablet bidding, they are banded together. Soon to change is the fact that desktop and tablet are breaking up and we will be able to do separate bidding between the three different devices. Another great feature for us digital marketing geeks to get excited about is the fact that we have more control over how we spend our client’s budgets which will further enhance the results we can obtain from the hundreds of Google Ads we currently run. Happy clients, happy geeks. All good things come in three’s they say, however I must say this one doesn’t excite us geeks too much, but it must be mentioned non the less. Responsive display ads for viewing on multiple devices is becoming easier for us Agencies in the creation and implementation process. 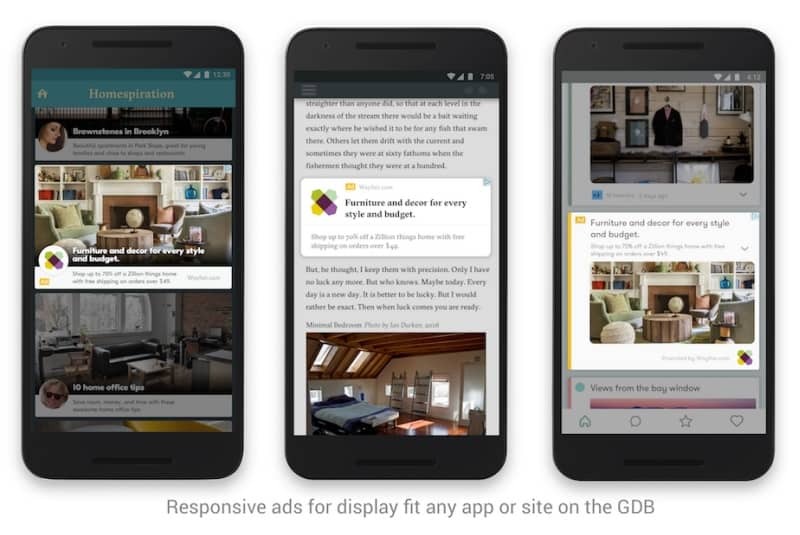 Google will assist us with making the Ads responsive. Not that exciting for our clients however it’s a great support service Google are offering Agencies and all advertisers alike if you are crazy enough to manage your own Google advertising. Hopefully you are quite sane and have a great Campaign Manager, if you don’t, then call us because we’re awesome. b. Looking local is a no brainer really, we all do it. However did you know that almost a third of mobile searches tend to be location based? Well they are according to Google, so they are capitalising on the many eyeballs Google maps receive. 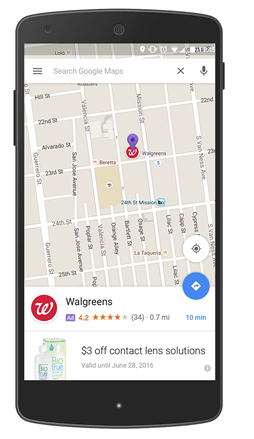 You will start to see local ads, brand logos and in-store promotions more visible when you do a Google search and view the Google map that relates to your particular search query. Just another amazing way advertisers can connect their brand and message directly to their potential customers. Google are still working on how to go about targeting these ads, so this feature won’t be out until late this year. There are other new Google enhancements coming, I’ve just stated four for today. At Searchsmart we are at the forefront of doing some beta testing for Google with our clients, which is great because some of these new features are a clear winner for more conversions that our selected clients can take advantage of before anyone else. And we are testing now. We’ve got room if you want to join in the glory of having something else no one else does. Give us a call today, Searchsmart 08 9403 4812.